The 2012–13 Primera División season was the 31st professional season of Venezuela's top-flight football league. Eighteen teams participated this season, sixteen of whom remain from the previous season. 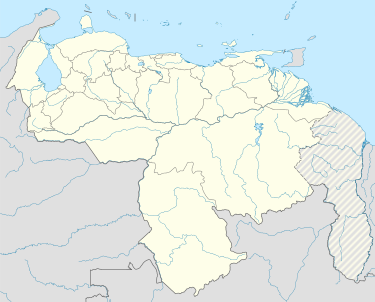 Carabobo and Tucanes were relegated after accumulating the fewest points in the 2011–12 season aggregate table. They will be replaced by Atlético Venezuela and Portuguesa, the 2011–12 Segunda División winner and runner-up, respectively. The Torneo Apertura was the first tournament of the season. It began on August 2012 and ended on December 2012. Updated to games played on 21 October 2012. The Torneo Clausura was the second tournament of the season. Updated to games played on August, 2012. ^ Deportivo Anzoátegui qualified for the 2013 Copa Sudamericana as the 2012 Copa Venezuela champion. Deportivo Anzoátegui and Zamora qualified to the Serie Final, which was contested on a home and away basis. Rules for classification: 1st points; 2nd goals scored; 3rd away goals; 4th penalty shoot-out. Other than the teams which already qualify for the Copa Libertadores (Apertura and Clausura champions and the best-placed team in the aggregate table) and the Copa Sudamericana (Copa Venezuela champion and the second best-placed team in the aggregate table), the eight best-placed teams in the aggregate table will contest in the Serie Sudamericana for the remaining two berths to the Copa Sudamericana, which qualify the two winners to the First Stage. For the two second round winners, the team with the better record in the aggregate table will receive the Venezuela 3 berth, while the other team will receive the Venezuela 4 berth.